The Forensic Science Division is committed to delivering state of the art scientific analysis and investigative services while maintaining the highest level of integrity, impartiality, and professionalism to all communities we serve; thereby contributing to the citizens' safety and due process of the judicial system. 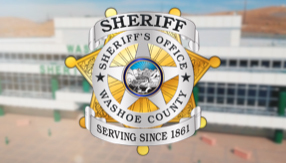 The Washoe County Sheriff's Office Forensic Science Division provides forensic services to local, state, and federal law enforcement agencies in 13 of the 17 Nevada counties encompassing over 80 agencies. The Division is a full-service forensic laboratory staffed by more than 40 individuals in sworn and civilian capacities. The staff members receive continuing education through training programs, seminars and conferences. The Division is funded by monies from Washoe County, the user agencies, and grants. The Breath Alcohol program is supported by contract with the State of Nevada. The Division provides investigative support with a full service crime scene unit within in the Forensic Investigation Section (FIS). The scientific disciplines range from DNA, Toxicology, Controlled Substances, and Firearms. The Breath Alcohol Section provides support for the Breath Alcohol instruments across northern and central Nevada. The Evidence Section houses all of Washoe County evidence as well as evidence submitted to the Forensic Science Division from our user agencies. The Forensic Science Division (FSD) is accredited by the American Society of Crime Laboratory Directors / Laboratory Accreditation Board (ASCLD/LAB), an independent organization that establishes operating standards and monitors compliance with their standards and ISO 17025. The Washoe County Laboratory was established in the mid 1970s and has been accredited since 1994. • Provide major crime scene processing including digital photography, diagramming and drafting, and evidence collection. • Provide scientific analyses of materials collected during the course of criminal investigation matters or other law enforcement matters. • Provide expert witness testimony in order to assist courts and juries in their role of determining guilt or innocence of criminal defendants. • Provide technical guidance and act as a resource for law enforcement and other emergency services personnel; assist in their investigations and assist criminal justice personnel in preparation for trials. • Provide training to law enforcement investigators in the recognition, collection and preservation of evidence; familiarize investigators with what may be expected from evidence examinations. • Train and certify law enforcement personnel to perform breath alcohol testing of persons suspected of driving under the influence of alcohol. • Maintain operation and certify accuracy of evidentiary breath alcohol testing instruments used by law enforcement agencies. • Process and store evidence and property for the Washoe County Sheriff’s Office; process and temporarily store evidence submitted for examination by outside agencies. Prioritization of examination is based on a threat to the community, court dates, and necessary investigative information. Upon receipt of evidence examination requests, the pertinent forensic section will decide what method will be utilized in the requested examination process. Refer to each section for information on validated methods that are utilized. The Forensic Science Division contracts with agencies for services. For questions regarding the fees for service, please see the website section About Forensic Science-Forensic Science Fee Schedule. To order copies of photographs, click on the name of the respective form and following the instructions for submission. We receive numerous inquiries from citizens asking about career opportunities in the field of forensic science, job openings, lab tours and the availability of internships and prioritize examinations based on a threat to the community, court dates, and necessary investigative information. For more information regarding various sections' methods and validations please refer to that section's page. For your convenience and information, we have listed the most frequently asked questions and provided the answers. To view Frequently Asked Questions and Answers please see the website section About Forensic Science-Forensic Science Fee Schedule.